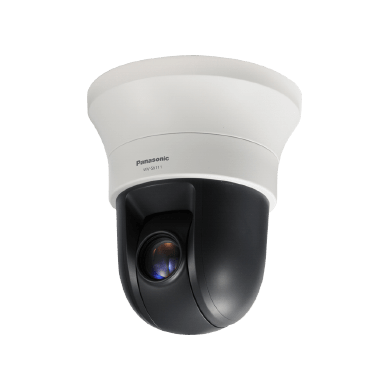 Panasonic WV-S6111 captures the highest quality images automatically even in very challenging and fast-changing surveillance environments. Intelligent Auto (iA) monitors scene dynamics and motion to adjust key camera settings automatically in real-time reducing distortion such as motion blur on moving objects. New industry-leading 144dB dynamic range delivers balanced scene exposure in dynamic and extreme-backlit lighting environments. In addition, color night vision provides outstanding low-light performance with accurate color rendition and saturation from i-Pro's 1/3" sensor, rivaling the performance of costlier 1/2" sensor cameras in the market. Adopting H.265 Smart Coding technology, intelligently reduces bandwidth efficiency of up to 95%* over H.264 for longer recording and less storage. Cameras out-of-the-box, support full data encryption streaming and is compliant to FIPS 140-2 Level 1 standards to keep your video secured. *Value in Advanced mode. It depends on the scene. 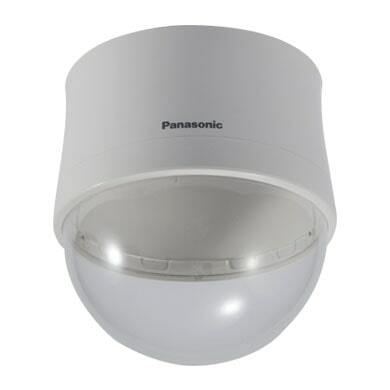 The WV-CW5C is the clear type dome cover dedicated to Panasonic cameras. Contact your dealer for the cameras compliant with this product. 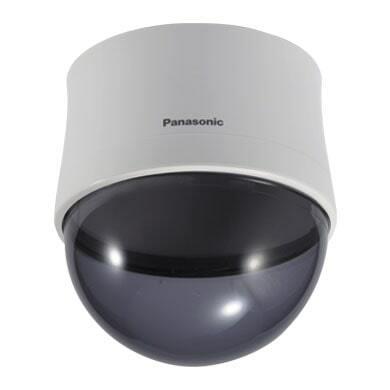 The WV-CS5S is the smake type dome cover dedicated to Panasonic cameras. Contact your dealer for the cameras compliant with this product.